Property 11: Villetta lfonso Alta apartment in Marina di Mancaversa with private terrace. Property 15: Seaside Apartment . 3 Double Bedrooms and 2 Bath. Property 16: Independent terraced house in Baia Verde (Gallipoli) known seaside resort. Property 18: Residence Jonio near Gallipoli-Mancaversa. Property 21: Gallipoli, 4 beds, walking beach, terrace with sea view. Property 26: Sax apartment in Marina di Mancaversa with balcony. 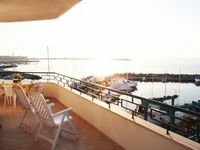 Property 27: Margherita di Puglia apartment in Marina di Mancaversa with . Property 28: Girasole di Puglia apartment in Marina di Mancaversa with . Property 30: Villa Zahir apartment in Marina di Mancaversa with . Property 32: Villa Cotriero Crystal apartment in Gallipoli with WiFi, shared terrace, shared garden & balcony. Property 34: Doria-s apartment in Torre Suda with private terrace & private garden. 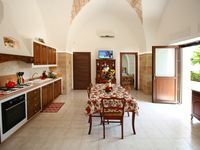 Property 36: Trullo Ilario apartment in Torre Suda with shared terrace & shared garden. Property 38: Villa Flower Beach apartment in Marina di Mancaversa with . Property 43: Villa Rose apartment in Marina di Mancaversa with shared terrace & shared garden.